We had just said our final goodbyes to the Kachhap family, which included them presenting us glitter-covered farewell cards and friendship bracelets. Anmol and Rev. Sunil dropped us off at the airport and waved goodbye as we entered the terminal making it through the initial security before we were informed by the ticketing counter that the Kathmandu airport was closed, and had been for three days. We then had to make a quick decision — should we fly the first leg to Delhi and stay the night there and hope that the next day the Kathmandu airport would be reopened, or should we stick with what we knew and recheck-in to our same, comfortable room despite the lack of internet strength? Though going to Delhi would have potentially meant us being able to see the Taj Mahal the next day before our 7pm flight to Kathmandu, our unpreparedness and inability to research where to go led us to making the “responsible” decision. 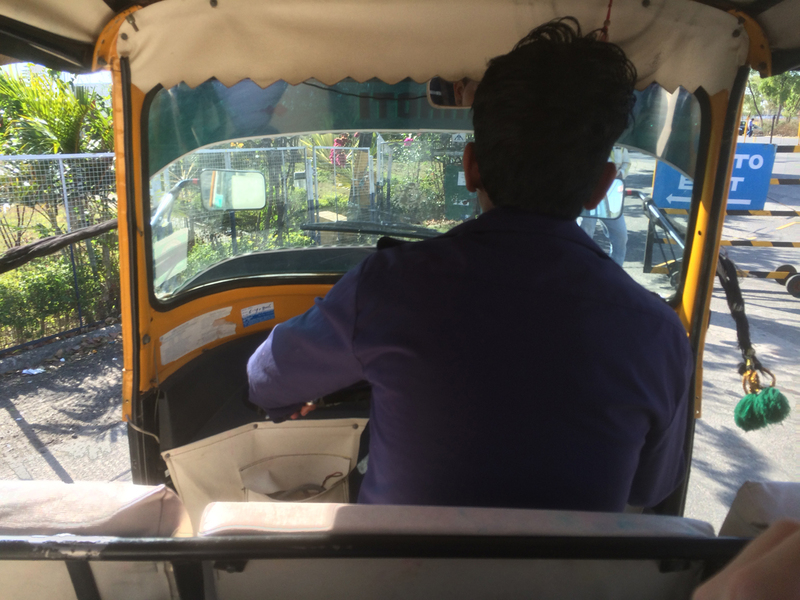 Now stranded at the airport with no phone or access to internet, we hopped on a rickshaw and headed back to our familiar hotel, which welcomed us back into the same room. Another night came and went in Jharkhand state and we repeated the steps the next day, this time successfully getting boarding passes all the way through our final destination, as the Kathmandu airport was finally reopened. We made it to the New Delhi airport with a five-hour layover, which extended to seven hours with delays. But we didn’t mind since we would still be getting to Kathmandu that day (or so we thought). Little did we know that after the small Kathmandu airport reopened, it was forced to operate at a much higher volume than its capacity creating a backlog of travelers and luggage. When we finally landed at 1am, after circling the airport several times because there were too many planes on arrival, the first thing we noticed was the Turkish Airlines plane wreckage pushed to the side of the runway. The next thing we noticed was that planes were just parking and letting off passengers because there were not enough gates to allow a proper exit. The third thing we noticed was the airport busting at the seams with unhappy, weary travelers wearing surgical masks. Killing time in New Delhi with free henna. Looking to the positive side of things, Jordan said, “I’m sure the arrival side will be much better than that,” and it seemed that was the case with how smoothly our on-arrival tourist visa process went. But then we got to the baggage claim. Just typing the words “baggage claim” makes my body shudder. It seems like a bad dream. It’s hard to even begin describing what the baggage claim was like. Jordan described it like being in a music festival crowd — but everyone is wearing big backpacks — and each conveyer belt is a big stage and your favorite band (your bag) could start playing (appear) at any moment on any stage. Did we mention the festival grounds of this music festival experience had hundreds if not thousands of people attending and was the size of your middle school cafeteria? This apparently had been going on for days because there were piles of unclaimed baggage everywhere, and since we landed at 1am, people began to sprawl out and sleep on the unclaimed baggage piles. The smells would have knocked you to the ground, if there were room. People started riding the conveyor belts to get a better vantage point while others just stood on top of other people’s abandoned luggage. The entire airport’s supply of luggage carts was hoarded by people waiting for their baggage that may or may not arrive. Occasionally loud arguments would erupt from the baggage claim dispute area, where many people would pull out their phones so they could film the fights. After about four hours of Jordan squeezing back and forth between all four conveyor belts, by God’s grace he spotted one of our bags as it first landed on conveyor belt #3. It was 4:30am. Five seconds later, conveyor belts #3 and 4 abruptly halted. People formed firemen lines, passing bags down to make a human conveyor belt but eventually the airport employees stopped delving out the Delhi flight’s luggage and said they would add it to one of the other two working conveyor belts that were already maxed out. Another hour passed where no luggage came despite the airport staff’s promises, and after a total of five hours in the baggage claim, we amazingly had both our bags in hand. Stepping out into the early morning light, we were too tired to bargain and flagged the first taxi we saw. Tired and slightly delirious, we got dropped off at our hotel — our home for the next 10-20 days. They let us nap from 6am until 11am in a vacant room after trying to give us someone else’s room with an unmade bed, shower slippers and a towel draped on the sink. When we woke up from our nap feeling surprisingly rested, we just shook our heads in disbelief and went on with our day. We were supposed to be the last in our group to arrive, but ended up being the first, so we enjoyed a good lunch outside at the hotel, just the two of us on the flower-surrounded patio — a beef burger and chicken momos (dim sum). The Himalayan mountain range can be seen off in the distance and we are excited for this new day in Nepal. Our view from the napping room. The view from our hotel floor’s hallway. Oh what would US Homeland Security think of this mess! Only in Nepal–ha ha. It may be the standard for the rest of your travels. Who knows? But whatever you encounter, God is faithful over messes!